The holidays are just around the corner, but it's not too late to get your favorite Tom Hiddleston fan a Christmas gift (or to buy one or two for yourself, no judgments here). The British actor had a really big 2015 between filming The Night Manager (due out in 2016), and promoting the releases of High-Rise in the UK and Crimson Peak globally. Two major Hiddleston movies released in one year? Yes please! What a fabulous 2015 us Hiddlestoners have had. We almost even got three films, but I Saw The Light was pushed to March. Still, there's no better way to celebrate his big year or the holiday season than with some Tom Hiddleston-themed presents. Whether you're buying for a Hiddlestoner, or you want to send this list to someone to encourage them to buy for you, there's something for everyone in this gift guide. From the bookworms to the cinephiles to the Loki lovers, you can never go wrong with a Hiddleston present. And, with the holidays not far away, all the items on this list can be express shipped to arrive on your doorstep by Dec. 25 just in time to have a very merry Hiddlesmas and a happy Loki year. Ehehehenjoy! 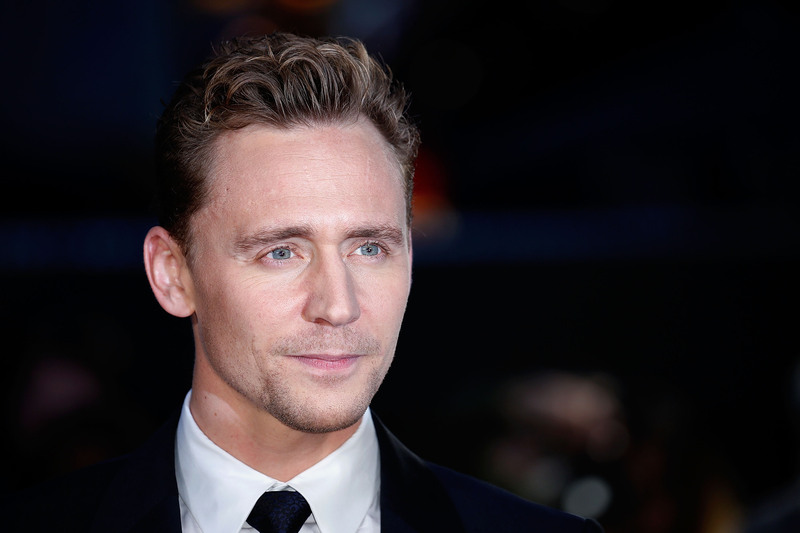 There's no denying Hiddleston has said some seriously inspiring things. Channel his wise words and your own thoughts inside this notebook. While your favorite Hiddleston fans awaits High-Rise's U.S. release, tide them over with the novel that inspired the film. Or, for the Thomas Sharpe-obsessed fan, get them the novelization of the movie. Edith Cushing would be proud. Or, proclaim your love year round with this statement shirt. Even Tom Hiddleston himself would approve of this adorable Loki figure. This store has Crimson Peak nail polishes for every character in tons of shades. You'll never be far from Hiddles if you wear his movie on your nails! Along with a nail polish line, the store has perfumes based on the film. I can personally attest that the Thomas Sharpe scent smells exactly like I would expect that character to smell. Never has a truer message existed on a phone. Proclaim your love for coffee and Hiddleston at the same time. Ring in 2016 in style with your favorite actor's wisest words. Journal all your Hiddleston thoughts in this stylish stationary.